The Peur platform, also known as Peur Marketplace, allows for payroll integration and payment solutions. Essentially, Peur gives merchants the ability to participate in a decentralized economy. The information transferred on Peur is secure, with only authorized users getting access to it. 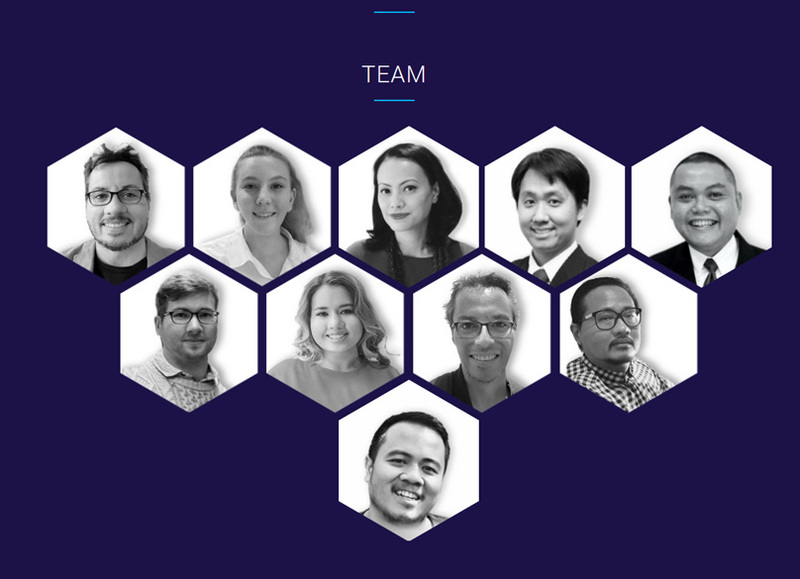 The team behind the project sees Peur as a way to revolutionize the method that employees use to pay their employees, improving efficiency and convenience. 1 Who Is Behind Peur? 2 What Does Peur Do? 3 What Are Some Key Features of Peur? 4 How Does Peur Improve Upon Traditional Methods? 5 What Are Some Solutions and Products from Peur? 6 What Are PURC Tokens, and When Is the ICO? 7 What Else Should You Know about PURC Tokens? 8 What Does the Peur Roadmap Look Like? The CEO of Peur, Joachim M Steffensen, has 17 years’ experience in information technology, marketplace companies, and ecommerce in Australia and Indonesia. The CFO, Taylah W Klien, has a commitment to long-term relationships with clients. She uses financial planning to assist clients with such things as insurance, estate, education, investment, and retirement planning strategies. Finally, the CMO, Catharina Latjuba, has more than 20 years of experience in marketing and strategy. Peur is a completely decentralized marketplace that allows for payroll integration. It should appeal to those of all skill and experience levels, allowing them to manage and invest in digital assets and sell and buy services and products. It also provides a cryptocurrency to use for in-app payment. What Are Some Key Features of Peur? Because Peur uses the blockchain, it is decentralized, fast, extra-secure, and simple. 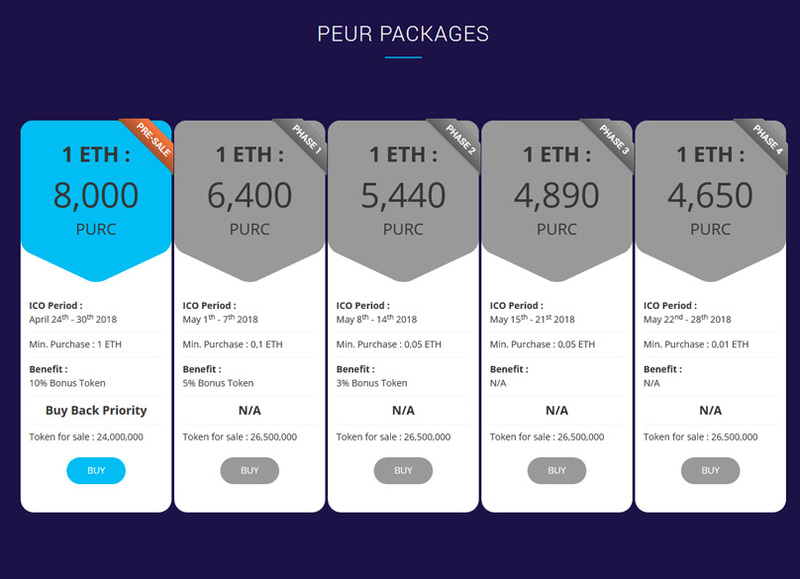 Peur also has a limited token supply, allows for a direct conversion without any required third-party exchangers, and works as a long-term or short-term investment. In addition, it combines the B2B, B2C, C2C, B2E, and service sectors. Its integration of payroll functionality is also crucial. How Does Peur Improve Upon Traditional Methods? Unlike traditional platforms, Peur uses blockchain technology to encourage and leverage transparency and security. The blockchain technology prevents the ability of hackers to manipulate the platform. It delivers transparency via the immutable ledger that anyone can view at any time. Thanks to the blockchain, there is also no need for an intermediary, which reduces the cost of transactions. 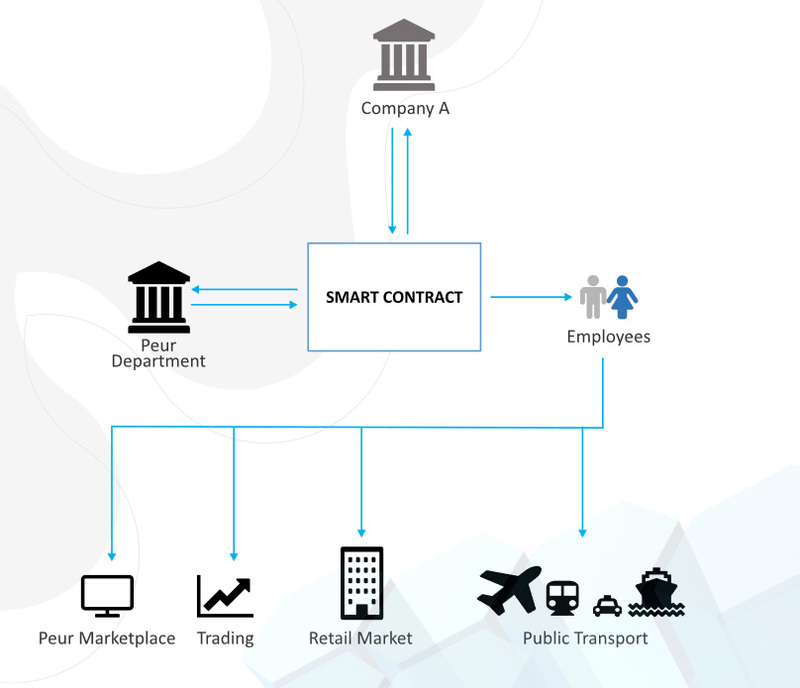 The use of smart contracts prevents any possibility of fraud for clients and merchants. Essentially, Peur’s use of the blockchain allows for trustworthy, transparent commerce. Peur can also be used around the world thanks to the ability to use the Peur mobile app to exchange to cryptocurrencies or fiat currencies. There is even a reduced processing time thanks to the blockchain. What Are Some Solutions and Products from Peur? 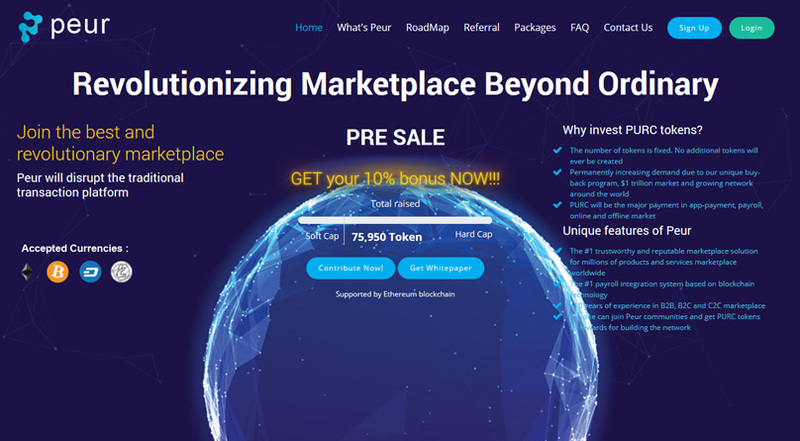 Peur works as an intuitive and powerful cryptocurrency marketplace. It works via your smartphone for convenience wherever you are. The Peur solution does not require a holding period, so merchants receive instant payment. They also do not need to use debit or credit cards or cash nor worry about a transaction limit. Merchants will appreciate that the maximum surcharge per transaction is 2 percent and the lack of membership fees. Everyone involved will take advantage of the cashback and loyalty programs used for transactions. Employers can also submit payment instructions to ensure that Peur transacts them correctly. The team will calculate and then process payments. This includes reviewing, confirming, and processing all the calculations regarding salaries. This can include factors like taxes and new employees. Everything is then executed via smart contracts for efficiency, trust, and fairness. Finally, Peur can generate transaction slips and reports. Use this functionality to track the monthly payroll via generated reports or bank file listings. What Are PURC Tokens, and When Is the ICO? The PURC tokens will be the major method of payment in the application, as well as for the offline and online market and payroll. There will never be more PURC created. The team also has a buy-back program, which will ensure a demand that always increases. The team also sees a growing demand for tokens naturally since there is a $1 trillion market in the sector and the network around the world is growing. PURC is an ERC 20 token. During the ICO, 1 PURC will be equal to 0.000125 ETH. There are 130 million tokens for sale, and the minimum investment is 1 ETH. During this crowdsale, Peur will accept contributions in ETH, DASH, BTC, and LTC, provided they meet the minimum requirement (or its equivalent). There is a soft cap of 2.5 million USD and a hard cap of 25 million USD. Between April 24 and April 30, those who register for Peur’s whitelist receive an additional 5 percent bonus in their token purchase in addition to the 10 percent bonus token benefit and buy-back priority. During this time, 1 ETH equals 8,000 PURC. From May 1 to 7, the 5 percent bonus for whitelist registration remains, but the token sale bonus drops down to 5 percent. 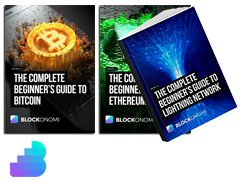 This leads to a rate of 1 ETH for 6,400 PURC and a minimum purchase of 0.1 ETH. The whitelist registration bonus remains throughout the token sale, but the minimum purchases and standard bonuses decrease. From May 8 to 14, the minimum purchase is 0.05 ETH and the benefit is a 3 percent bonus. From May 15 to 21, there is no bonus and the minimum purchase remains the same. Finally, from May 22 to 28, the minimum purchase reduces to 0.01 ETH. What Else Should You Know about PURC Tokens? Of all the PEUR tokens, 65 percent are available for sale with 21.15 percent reserved for Peur communities and 8.75 percent distributed to the development team. There will also be 2.6 percent for the bounty campaign and 2.5 percent for the shareholders. Of the funds raised during the sale of PEUR tokens, 50 percent will go to the marketing campaign, 25 percent to regulation, 15 percent to equity capital, and 10 percent to Peur development. What Does the Peur Roadmap Look Like? Phase Two of the Peur Roadmap finished in the middle of 2017 with the development of a minimally viable product. Now, the project is in Phase Three. A key part of this is the ICO for the token and listing PURC in exchanges, which will occur in May, June, and July, following the ICO. Phase Four will begin in November and December of 2018 with open recruitment for the community and closing of the Peur beta platform. Then, in February 2019, Peur will continue Phase Four with the buy-back program for token holders from the pre-sale and open the Peur beta platform once again. Peur is a cryptocurrency marketplace as well as a platform with numerous services for merchants, including payroll integration. Its use of the blockchain technology should help provide trust and security while saving merchants money and time spent on transactions.